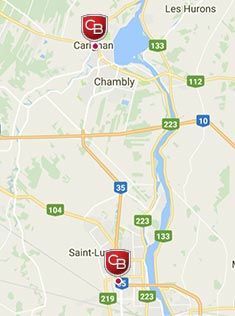 For quality Nissan vehicles and service in Chambly and Saint-Jean-sur-Richelieu, visit us today at Coupal & Brassard today! The story of Coupal & Brassard begins in a small body shop in 1967, where our Datsun dealership was born. In 1981, we changed the banner for Nissan and, gradually, we expanded, opened a second dealership in Chambly and a third in Saint-Jean-sur-Richelieu. Today, it is always with great pleasure that our experienced consultants answer all your questions. As always, we evaluate your needs and offer solutions according to your requirements. We divide the work within our team, ensuring that every detail will be seen by an expert.This diversity of skills gives our clients superior results. Our team is structured around three distinct areas, including bodywork, service, and sales. At Coupal & Brassard Nissan in Chambly and Saint-Jean-sur-Richelieu, you will always be treated with respect and dedication. Visit Coupal & Brassard Nissan in Chambly and Saint-Jean-sur-Richelieu today to discover our complete inventory of new and used Nissan vehicles. Whatever Nissan model you want, we have it in stock. We offer you a wide selection of Nissan Qashqai, Nissan Rogue, Nissan Micra, Nissan Sentra, Nissan Altima, Nissan Pathfinder cars and sport utility vehicles, and much more. We also have a great selection of used Nissan vehicles at incredible prices. To find out more about our new and used Nissan vehicles, or our many after-sales services such as our mechanical maintenance department, our detailing department, our original Nissan parts and accessories and our wide selection of summer and winter tires, contact us today at Coupal & Brassard Nissan Contact us today in Chambly by calling (450) 658-3443, or at (450) 347-5593 for our St-Jean-sur-Richelieu location.